1. 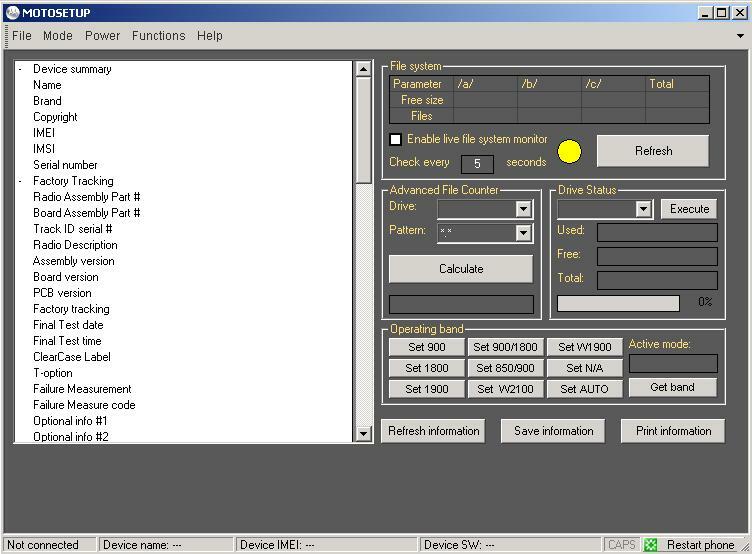 Program can provide full details for the connected phone: 70 parameters of the OS, timers and other. Much more than even Radiocomm. 2. Can switch device modes for the computer with ease. 3. Can edit seems with ease directly on the phone. 4. The seem editor have two windows - old and updated seem. 5. File manager has new unique feature - it loads file without knowing the file sizes (eg loading file lists three times faster!). 7. Program can manage the phone display settings. 8. Synchronizes your clock via p2k mode. 11. Manages the audio settings on the phone: input, output, codecs, volume levels, system sounds.